The FDA announced Thursday that it's requiring revisions to the safety labeling on such prescription opioid cough and cold medicines to indicate that the products no longer can be used to treat children -- because their risks outweigh their potential benefits -- and should be used only for adults 18 and older. "Given the epidemic of opioid addiction, we're concerned about unnecessary exposure to opioids, especially in young children. We know that any exposure to opioid drugs can lead to future addiction," FDA Commissioner Dr. Scott Gottlieb said in an announcement on the FDA's website. 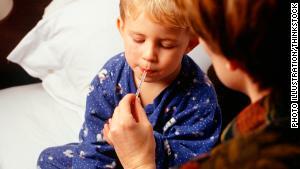 "It's become clear that the use of prescription, opioid-containing medicines to treat cough and cold in children comes with serious risks that don't justify their use in this vulnerable population," he said. "It's critical that we protect children from unnecessary exposure to prescription cough medicines containing codeine or hydrocodone. At the same time we're taking steps to help reassure parents that treating the common cough and cold is possible without using opioid-containing products." 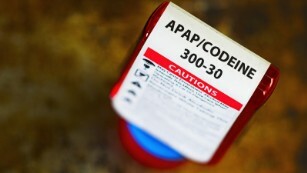 In 2013, the FDA issued a public warning and implemented a "black box warning" -- the strongest safety statement -- against prescribing codeine to children for pain management after having their tonsils or adenoids surgically removed. Though the FDA's warning substantially decreased codeine prescriptions among children after tonsillectomies or adenoidectomies, about one in 20 kids undergoing those surgeries still was prescribed codeine in December 2015, despite safety concerns and efficacy issues, according to a study published in the journal Pediatrics in November. 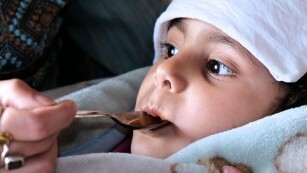 Now, the FDA's latest action to revise safety labeling on some prescription cough and cold products expands the pediatric restrictions that were previously in place. Parents whose children are currently prescribed a cough and cold medicine containing codeine or hydrocodone are encouraged to talk to their child's health care professional about other treatment options, the FDA advised. The agency also noted that some products sold over-the-counter in a few states may contain codeine or may not be appropriate for young children, so it's important to check the labels.